As usual, it was a great week in Miamie and Miami Beach for Miami Art Week 2018. It occurs yearly the first week of December. Start planning now for next year, December 2 - 7, 2019. It's one of the best times of the year for viewing contemporary art. Miami and Miami Beach will be the epicenter of the art world with approximately 1200 art galleries from around the world showing thousands of artists. Usually around eighteen art fairs are open. Around 50,000 people visit the area for this incredible week, and they come from all parts of the world. It's also a week of fashion with gala openings and after parties. Music and Design also play a very important part of Miami Art Week, so does the warn weather. This is a very big week of visual art and there will be lots to see and do, so plan carefully. If you find this guide useful, please tell your art friends about it and visit frequently to see new additions. Information about Miami's regular art establishment with exhibitions listed. Information worth looking at and art events you should know about. 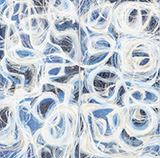 One of more than 80 online gallery guides available from Art-Collecting.com. If possible, plan on spending at least four days at Miami Art Week, as the week is flush with opportunities to mix, mingle; and, of course, feast one's eyes on an incredible array of great contemporary art! Not only are the art fairs vibrant and engaging in of themselves, but related events occur at local art museums, private collections, non-profit art organizations, galleries and artist studios. Don't forget to eat, Miami has lots of great restaurants (wonderful latin american food). Art Basel Miami Beach - held at the Miami Beach Convention Center is the largest art fair of the week, featuring more than 260 top galleries from around the world. Design Miami (a major design fair) takes place right next to Art Basel. Scope Miami, PULSE Miami Beach, and Untitled are also in Miami Beach. Some are actually on or near the beach; enjoy the ocean view!. Hotel-based art fairs in Miami Beach include Aqua Art Miami, INK. Superfine! Miami Beach will also be returning to the beach this year. Pinta Miami, Spectrum Miami and Red Dot Miami will be located in Wynwood District as well as art galleries and the Wynwood Walls (great street art). If you're interested in Street Art, Wynwood is one of the top places in the world. NADA will again be in Miami at the Ice Palace Studios. Art Miami - is now located Downtown and it's one of the biggest and most established art fairs; it's been around for years. Context is related and located right next door. Miami River Art Fair is at the Miami Convention Center - James L. Knight Center, in the downtown Miami. Art Africa - is located in the historic Overtown area, just northwest of Downtown Miami. Art Beat Miami is located further north the heart of Little Haiti, north of the Design District. Free Shuttles - We recommend the free shuttle services offered by art fairs, especially when traveling between Miami and Miami Beach, between downtown and Wynwood, and the Miami Beach art fairs north and south of the convention center. Miami is a great town for Uber and Lyft; we use it a lot when in town. Additional info in the Getting Around Town section near the bottom of the guide. Art Basel Miami Beach is the most important art show in the United States. And, the largest with over 500,000 square feet of exhibition space. Leading galleries from North America, Latin America, Europe, Asia, and Africa show historical work from the masters of Modern and contemporary art, as well as newly created pieces by emerging stars. Paintings, sculptures, drawings, installations, photographs, and films of the highest quality are on display in the main exhibition hall. You'll also find artworks and sculpture in Collins Park and evening films at SoundScape Park. Art Basel is comprised of multiple sectors, each of which has its own selection process and committee of experts, who review applicants to select the show participants. The nine show sectors offer a diverse collection of artworks, including established artists and newly emerging artists, curated projects, site-specific experiential work, and video. Galleries: The largest sector with more than 200 of the world's leading Modern and contemporary art galleries - from North America, Latin America, Europe, Africa and Asia. They display paintings, drawings, sculptures, installations, prints, photography, film, video, and digital art by over 4,000 artists. Galleries in Galleries sector. Selected Artworks in the Galleries sector. Nova:	Designed for galleries to present one, two or three artists showing new works that have been created within the last three years, the Nova sector often features never-before-seen pieces fresh from the artist's studio and strong juxtapositions. Galleries in Nova sector. Selected Artworks in the Nova sector. Positions: This sector allows curators, critics, and collectors to discover ambitious new talents from all over the globe by providing a platform for a single artist to present one major project. Galleries in Positions sector. Selected Artworks in the Positions sector. Edition: Leading publishers of editioned works, prints, and multiples exhibit the results of their collaboration with renowned artists. Galleries in the Edition sector. Selected Artworks in the Edition sector. Kabinett: Participants are chosen from the Galleries sector to present curated exhibitions in a separately delineated space within their booths. The curatorial concepts for Kabinett are diverse, including thematic group exhibitions, art-historical showcases, and solo shows. Galleries in the Kabinet sector. Selected Artworks in the Kabinet sector. Film: The Film sector presents a dynamic program of films by and about artists. Screenings take place inside the Convention Center, and in the outdoor setting of SoundScape Park where works are shown on the 7,000-square-foot outdoor projection wall of the Frank Gehry-designed New World Center. David Gryn and Marian Masone were the the Film Curators last year. Survey: Survey presents precise art historical projects that may include solo presentations by an individual artist, or juxtapositions and thematic exhibits from artists representing a range of cultures, generations, and artistic approaches. Galleries in the Survey sector. 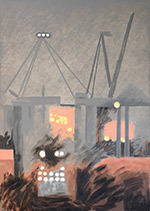 Selected Artworks in the Survey sector. Magazines: Art publications from around the world display their magazines in single-magazine stands or the collective booth. Editors and publishers are often present at the show. Great for finding current and past issues of magazines. Magazines participating in the sector. The show has organized a shuttle bus service for visits to the museums and collections in Miami. The pickup location is directly across the street from Hall D of the Miami Beach Convention Center. For other shuttles to other art fairs, you'll find them near 17th and Washington. Participating in this art fair? You can be featured in this area, contact us! Aqua Art Miami, the sister satellite fair to Art Miami. 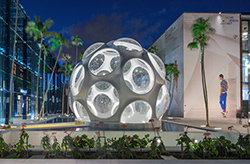 Aqua's unique environment - in a classic South Beach hotel with spacious exhibition rooms that open onto a breezy, intimate courtyard – has become a favorite gathering spot for collectors, curators and art lovers to discover fresh talent and acquire new works while exchanging cultural ideas and forming meaningful connections. Aqua Art Miami, which will kick off with a VIP Preview on Wednesday, December 5th and open to the public December 6th - 9th, has become the premier destination for prominent collectors and art aficionados to procure works by young, emerging and mid-career artists. Throughout the years, Aqua Art Miami has continued to solidify itself as a completely unique art fair, consistently staying true to its signature relaxed yet energetic vibe. The 2017 edition featured 52 international exhibitors showcasing fresh new works, and set in the intimate exhibition rooms that open into a beautiful courtyard, all found within the classic South Beach hotel. Aqua Hotel is located within walking distance of Art Basel, just south of the bustling Lincoln Road restaurant and shopping area. Keep an eye out for the Aqua shuttle. Design Miami/ 2018 brings together leading design galleries from around the world to present beautifully conceived and highly individual exhibitions for which the fair has become renowned. Design Miami/ is more than a marketplace for design, where the world's top galleries gather to present museum-quality exhibitions of twentieth and twenty-first century furniture, lighting and objets d'art. Each show balances exclusive commercial opportunities with progressive programming, exciting collaborations with designers and design institutions, panels and lectures with luminaries from the worlds of design, architecture, art and fashion, and unique commissions from the world's top emerging and established designers and architects. INK Miami is a contemporary art fair held annually in December during Art Basel Miami Beach. The Fair is unique among Miami's fairs for its focus on contemporary works on paper by internationally renowned artists. It is sponsored by the International Fine Print Dealers Association and exhibitors are selected from among members of the Association for their outstanding ability to offer collectors a diverse survey of 20th century masterworks and just published editions by leading contemporary artists. Since its founding in 2006, the Fair has attracted a loyal following among museum curators and committed collectors of works on paper. If you're looking to purchase prints or works on paper, you should plan on attending this small art fair. This fair is located just a few blocks from the convention center and Art Basel Miami Beach. It's an easy walk in the direction of the beach. PULSE Miami Beach returns to Indian Beach Park at 46th Street and Collins Avenue, marking the 13th edition of PULSE Contemporary Art Fair in Miami. The fair will open on Thursday, December 7th with the Private Preview Brunch where over 75 local and international exhibitors will welcome VIP guests and press for first access to new works. As one of the most anticipated events during Miami Art Week, PULSE Contemporary Art Fair is a well-respected source for the discovery of emerging to mid-career artists offering a comprehensive overview of the contemporary art market today. PULSE Miami Beach offers complimentary shuttle service between PULSE and Art Basel during fair hours. 1. PULSE is focused on artists. Half the fair is comprised of either SOLO artist presentations or CONVERSATIONS booths, which explore new visual and conceptual dialogues between two artists. 2. PULSE is a place to learn. Hear from industry insiders in PERSPECTIVES or take a tour with our Director. 3. PULSE is diverse. Come see video and new media pieces in PLAY or walk through the fair to view the sculptures, installations and performances of PROJECTS while exploring our international roster of exhibitors. 4. PULSE is a site for discovery. Whether you're a seasoned collector or an emerging art lover, you will find the best contemporary art being produced today. 5. PULSE is at the beach! Participating in an art fair? You can be featured like those below from 2017, contact us! Klea McKenna uses light sensitive paper to reveal something unexpected, transforming familiar elements into abstractions of light and form. She experiments with a number of strategies, including hand-made cameras and outdoor photograms to create images that convey a sense of place that is both visual and emotional. Focusing on a selective roster of artists who quietly push the boundaries of medium and materiality, the gallery exhibits art that will continue to engage the viewer over time. Located in the Los Angeles near Culver City. The 18th edition of SCOPE Miami Beach returns to the sands of Ocean Drive and 8th Street. Featuring 140 International Exhibitors from 25 countries and 60 cities, SCOPE Miami Beach will welcome over 55,000 visitors over the course of 6 days. Amidst an unprecedented outpouring of critical acclaim from press, curators and collectors, and a digital and social media outreach campaign garnering over 450 million impressions, SCOPE Miami Beach is once again poised to lead the charge for emerging contemporary art market. With locations in the Dallas Design District, Aspen and the recently opened New York Upper East Side location. 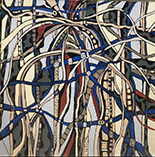 The galleries specialize in contemporary art, mainly abstraction and Organic Expressionism with a focus on the work of American artist Christopher H. Martin. The expanded gallery program includes artists working on sculpture and this year's focus is on the glass sculptures of Gregory Price and the stoneware work of Brandon Reese. Martin is influenced primarily from Nature. His colors, his movements, his subjects, even his methods, are inspired by events in nature captured behind a pane of glass. It is this juxtaposition between the clean, polished final work, and the highly gestural abstractions depicted, that give his art work such drama. Untitled, Art is an international, curated art fair founded in 2012 that focuses on curatorial balance and integrity across all disciplines of contemporary art. Untitled, Art innovates the standard fair model by selecting a curatorial team to identify, and curate a selection of galleries, artist-run exhibition spaces, and non-profit institutions and organizations, in dialogue with an architecturally designed venue. Since 2014 the curatorial team has consisted of Artistic Director Omar López-Chahoud with curators Christophe Boutin and Melanie Scarciglia. The next edition of Untitled, Miami Beach will take place on the beach at Ocean Drive and 12th Street. Untitled will offer a complimentary shuttle service operating between Untitled (at Ocean Drive & 12th) and The Miami Beach Convention Center, at The Fillmore Miami Beach at Jackie Gleason Theater, 1700 Washington Ave, Miami Beach. Art Africa Miami is a unique curated fair platform that showcases visual works from the best emerging and established artists from Africa and its diaspora. Exploring issues around black reality and social transformation, the fair offers the opportunity for collectors to meet and buy directly from the artists. Art Africa Miami is located in historic Overtown, a neighborhood just northwest of Downtown Miami. Originally called Colored Town during the segregation era of the late 19th through the mid-20th century, it was the preeminent center for commerce in the black community in Miami and South Florida, and was later known as known as "the Harlem of the South." Overtown's hallmark is its unique character and resilience of the people who live there. The Urban Collective continues to spotlight the distinctive cultural heritage of this community with its commitment to hosting the Art Africa Miami Arts Fair yearly in Overtown and creating a burgeoning art and creative scene. Each year we will continue to bring alive venues that were once gems to the community in the 1950's and 60's. During segregation, black performers booked to perform for white audiences on Miami Beach were not allowed to stay overnight, so they headed "over town" to black owned hotels to sleep, and to party and perform for appreciative locals and visiting celebrities. Count Basie, Duke Ellington, Sam Cooke, Aretha Franklin, James Brown, Ella Fitzgerald and many more played the Knight Beat, the Harlem Square, and other clubs in Overtown. * Visit Art Africa website for full schedule of events and ticket info. The iconic Caribbean Marketplace (In the heart of Little Haiti) will transform into a pop-up gallery showcasing the works of more than 30 emerging and renowned local and international artists and celebrities. Little Haiti Optimist Foundation and Northeast Second Avenue Partnership (NE2P) invites you to participate in the 4th annual Art Beat Miami during Miami Art Week December 6th - 10th located inside the Caribbean Marketplace at the Little Haiti Cultural Complex. Art Beat Miami will launch on Wednesday, December 6th, with an Opening Reception celebrating a one of a kind experience of visual art, music and food inspired by the people and culture of the Caribbean. The Art Beat Miami Art Fair will open daily from Noon to 8:00 pm with musical performances, LIVE art, conversations with artists and food. Other signature events include: Spice it Up! Miami, Chefs of the Caribbean Celebrity Brunch and Conversations with the Artists and more. * Visit Art Beat Miami website for full schedule of events. Known as Miami's premier anchor fair, Art Miami kicks off the opening day of Art Week - the first week of December when thousands of collectors, dealers, curators, and artists descend upon Miami. World-famous for its stylish gallery-like decor, its outstanding quality and extraordinary variety, Art Miami showcases the best in modern and contemporary art from more than 125 international art galleries. 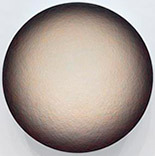 Art Miami maintains a preeminent position in America's contemporary art fair market. With a rich history, it is the original and longest-running contemporary art fair in Miami and continues to receive praise for the variety of unparalleled art that it offers. It is the "can't miss" event for all serious collectors, curators, museum directors, and interior designers providing an intimate look at some of the most important work at the forefront of the international contemporary art movement. A network of complimentary shuttle buses will run round-trip service between Art Miami, Aqua, and Art Basel Miami Beach. A One Day Fair Pass provides admission to Art Miami and CONTEXT Art Miami Fairs. A Multi-Day Pass provides admission to Art Miami, CONTEXT Art Miami and Aqua Art Miami Fairs. CONTEXT is the sister fair to Art Miami. 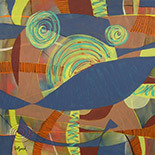 CONTEXT is committed to the development and reinforcement of emerging and mid-career artists. The fair's open atmosphere creates a meaningful dialogue between artists, galleries and collectors while providing the ultimate platform for established and emerging galleries to present cutting-edge and emergent talent. The 75 international galleries vetted by the CONTEXT Selection Committee will exhibit highlights from their gallery programs, solo artist exhibitions and/or curated projects. Now in its third year, the fair will take place in a standalone 45,000-square-foot pavilion directly adjacent to the Art Miami Pavilion. Fridge Art Fair the EVOLUTION Edition: The Velvet Rope: 1600: Miami Art Week 2018. Welcome to Fridge Art Fair Retooled!!! Miami and the Beaches!! Art Week Dec 2018!! Redefining Art and the Art Fair!!! The 6th Miami Edition of Fridge Art Fair Miami opens Monday, December 3rd at Eurostar's Langford Hotel, 121 SE 1st Street in Miami and runs through Saturday December 8th. Exploring the theme of "The Velvet Rope and what it symbolizes. Is the rope about being exclusive? Is it to keep those that one has decided isn't worthy out or is it to let those who are in? This exploration is carefully crafted in nature from playful to thought provoking and features both Blue and Clifford the Big Red Dog to help us explore the Evolution. 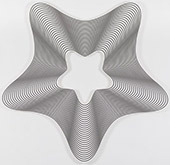 The seventh edition of the Miami River Art Fair, an international, contemporary art fair, will take place at the Downtown Miami Convention Center inside the James L. Knight International Center. This art fair was conceived as a showcase of world-class galleries, artists and projects in an indoor booth setting at the Riverfront Hall. This grand show space overlooks the one-of-a-kind outdoor Riverwalk Sculpture Mall that will feature monumental sculpture on the banks of the historic Miami River. New for 2018, is the Miami River Film Pavilion, featuring films from Latin America and Europe, more info and film schedule. The Miami River Art Fair paves the way for the arts in our financial district as the pioneer art fair of the Downtown Miami - Brickell areas during the winter art fair season. The City of Miami welcomes the Miami River Art Fair as a herald for the revitalization of the Lower Miami River district, the city's waterfront destination of the twenty-first century. Miami River Art Fair is organized by Nina Torres Art Productions and produced in collaboration with the Foundation of Contemporary Art. Nina Torres is the Director for Miami River Art Fair. For over 20 years, Nina Torres has been actively participating in the international art market, specializing in Modern and Contemporary Latin American Art. Nina has curated and overseen over 300 hundred exhibitions at international venues around the world including London, Mexico, Belgium, Spain, The Netherlands, Monaco, France, Thailand and the USA with current and upcoming projects in Dubai, Singapore, Hong Kong, Austria, Portugal, Barcelona, New York, Marbella and Berlin. NADA holds a renowned art fair to vigorously pursue our goals of exploring new or underexposed art that is not typical of the"art establishment" NADA Miami is the one of the only major American art fairs to be produced by a non-profit organization, and is recognized as a much needed alternative assembly of the world’s youngest and strongest art galleries dealing with emerging contemporary art. Don't plan on walking to this art fair from ABMB, look for the free shuttle service near Art Basel Miami. The pick-up and drop-off is at 17th and Washington, near the southeast corner of the convention center. Shuttle service begins each day at 10:30am. Pinta's Main Section consists of 60 galleries from Latin America, the United States and Europe, totaling over 300 artists works for exhibition. The Solo Project Section, curated by Jesús Fuenmayor, will continue to establish dialogues in the Americas. Another of the novelties of this edition, the Large Format Sculptures Section, curated by Ysabel Pinyol of Mana Contemporary, will present a wide panorama of relevant Ibero-American artists. Additionally, PRIZM will feature the work of emerging Miami-based contemporary artists. These artists redefine their world and bring into focus socio-political and cultural issues pertinent to the people of African descent in Miami and beyond. The select artists are actively engaged in perpetuating Miami's growth as a cultural hub. Discover Red Dot Miami - a juried, contemporary art show in the heart of Miami featuring an international slate of galleries. The show features over 500 leading contemporary artists, museum exhibitions, art labs, events, and talks focused on collecting. 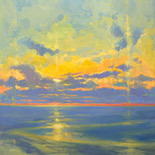 Now in its 12th year, the five-day event attracts over 30,000 visitors, a majority of whom are high-net-worth collectors. Join us for an unforgettable five days of cutting-edge art, entertainment, and special events. Since its inception in 2006, Red Dot Miami has enriched the city's arts scene beyond measure. Red Dot Miami has become one of the leading satellite shows during Miami Art Week. As it enters its 10th year, Red Dot Miami will continue to inspire attendees from all over the world with its site-specific art projects, art talks and panel discussions, specially selected emerging artists, special events, and more. Taking place in a beautiful gallery-style venue in the heart of Miami's Arts & Entertainment District, Red Dot Miami 2017 aims to play a key role in the rich array of Art Week events, nurturing and strengthening Miami's art scene with a dynamic agenda. Discover Spectrum Miami, a juried, contemporary art show now back in Wynwood at Mana Wynwood. Featuring an international slate of artists and galleries, Spectrum is much more than just an art show - it's a five-day fine art experience where guests can immerse themselves in the world of contemporary art and attend exciting events, live performances, late-night parties, and educational seminars, as well as enjoy signature programs such as Spotlight Artists, LaunchPad, Art Labs, and Art Talks. Aldo Castillo, founded ArtSpot in 2012, he is an internationally recognized curator, art dealer, and director of the Aldo Castillo Gallery, located in Estero, Florida. ArtSpot Miami is a stand-alone international art fair hosted inside SPECTRUM Miami Art Fair. Exhibitors include prestigious galleries, art collectives, and art projects that highlight the latest trends in painting, photography, works on paper, sculpture and mixed media installations. This year, ArtSpot Miami will feature international contemporary art galleries and artists from Europe, Latin America and the United States. ArtSpot Miami also presents special art projects and installations. This year we are highlighting ceramics, glass, metal and wood. And will present a special curated project, "Art Travels: Cuba," featuring artwork collected during the Havana Biennial 2015. * Daily Events - see their website for Interactive Programing. If you know of EVENTS RELATED TO MIAMI ART WEEK, please let us know details so we can add them. info@art-collecting.com. We do our best to provide you with current and accurate information about the art fairs and Miami Art Week. Also, you might want to check directly with the event organizers, art fairs or galleries if you have specific questions about programs or events. Some interesting events are listed below, not in any particular order. Located just a few blocks north of Wynwood. The MDD has been growing the past few years and is now considered a must see during Miami Art Week. The Institute of Contemporary Art Miami (ICA Miami) and the de la Cruz Collection are located in this district. You'll find several art galleries and lots of luxury brand fashion and design stores - many of them feature special art displays during Miami Art Week. Craig Robins is the driving force behind the growth of Miami Design District and his collection of contemporary art and design can also be found here. Look for Buckminster Fuller's Fly's Eye Dome, pictured above. Miami Design District Event Guide for Miami Art Week. The U.S. premiere, curated by British gallery owner Steve Lazarides, the elusive street artist's former agent. As such, the globetrotting show (it's already been in Toronto and Tel Aviv) brings rare access to Banksy's stenciled-graffiti artworks, featuring original paintings, sculptures and screen prints paired with Lazarides' photographs of early-career Banksy in action. The show isn't sanctioned by the notoriously anonymous artist. The works are on loan from private collectors who purchased the Banksy pieces when Lazarides represented the artist. Magic City Innovation Studios, 6301 NE Fourth Avenue, Miami. For more information and purchase tickets, visit The Art of Banksy website. this is Not America is anchored by Alfredo Jaar's groundbreaking work, A Logo for America, and features major new commissions of installations and performances by Derrick Adams, Cecilia Bengolea, Isabel Lewis, Luna Paiva, Tavares Strachan, and Wu Tsang and boychild, among others, that explore how we choose to define our sense of place in ways that encourage dynamic identities that transcend–and even resist–the imposition of physical, historical, and political borders. Visit website for more information. Art Basel Bubbles & Brunch 2018, Sunday, December 9, 2018, 10am – 1pm. The Lowe's annual Art Basel Bubbles & Brunch includes a lavish brunch in the museum at 10am followed by a lecture by Hank Willis Thomas in the adjacent Storer Auditorium at Noon. This event is supported by Bonhoms. Admission is $12.50, free for Art Week VIP cardholders and Lowe members. RSVP. Annual event and Tour of the Sculpture Park featuring a lecture by American sculptor and MacArthur Fellow, Elizabeth Turk. Turk is known for transforming her signature medium of marble into strikingly intricate objects that defy convention and challenge our preconceptions of what marble can do. Turk pushes her medium to its limit, creating in each sculpture a provocative tension between the intrinsic strength of the stone and its inherent fragility, while speaking to larger conceptual and spiritual concerns of time, matter, and space. Free public access, RSVP required, 305-348-0253. Will continue with the iconic Saturday Brunch on December 9th hosted by hotel's ownership. along with long standing partnership with local museums and galleries. When: Saturday, December 8th, from 9:00am to 1:00pm, Access: By RSVP Only. Thursday - Saturday, 9:00am - Noon - Artist Studio Visits open to the public. Studios located in the Miami Design District and Wynwood, downtown Miami, Little Haiti and Miami Beach. Map locations and days open for each of the studios. Event organized by Art Basel. On Thursday evening each year the museum hosts a major party from 7pm to Midnight. The event is open to exclusively to PAMM Sustaining and above level members as well as Art Basel Miami Beach and Art Miami VIP cardholders. Enjoy an unforgettable night featuring Brooklyn-based Afrobeat musical collective Antibalas, American artist and designer Kilo Kish accompanied by Ray Brady, libations, and more. In addition, the museum has extended hours during Miami Art Week, and is FREE on Thursday, December 6th, from 9am to 5pm and on Saturday December 8th from 9am to 6pm. Location: 1103 Biscayne Blvd., Miami 33132. Guide for Miami art galleries, be sure to visit some while you're in town. To much going on music wise, but if you're into that scene you should find what you need easily. Miami New Times is one of the best source for information on music events. If you're looking for VIP Parties, the Miami New Times gives a good breakdown. Below are Miami and Miami Beach art organizations that are hosting shows or events for Miami Art Week. Miami is unique in that it has a number of important collections, both private and public, and they make a special effort to welcome guests during Miami Art Week. Many are hosting special events like opening receptions, lectures, tours and brunches during the week. Visit their websites for additional event details. Home to more than 50 artist studios. Thursday morning December 6th, 9am - 11am, Open studios and Coffee. Admission $10 Adults, $7 Students. * Digital Media of the Caribbean - Featured Artist Babette de Waele. * Rites of Passage - A focus on five cultures. Admission: Free with online reservation. Special Hours during Miami Art Week. Hours: Tuesday - Sunday 10-5pm. Prints by Alexander Calder, Marc Chagall, Jim Dine, Don Eddy, R.B. Kitaj, Lee Krasner, Roy Lichtenstein, Camille Pissarro, and Robert Motherwell. Brunch and Talk on Sunday, December 9th, 10am - Noon. An artist reception will take place on Thursday, Dec 6th, from 8-11pm with an admission cost of $30 to the general public, free to Art Basel Miami Beach VIP ticket holders, MOCA members and North Miami residents. The museum has extended hours during Miami Art Week, and is free on Thursday, December 6th, from 9am to 5pm and on Saturday December 8th from 9am to 6pm. Hours: Special hours during Miami Art Week, currenly closed for installation. 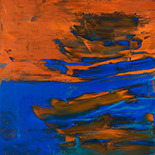 * New Acquisitions - Paintings and sculptures acquired within the last two years. Each of the 20 artists will be represented by multiple works in their own room. The exhibition will include new large-scale paintings created by Jonathan Lyndon Chase during his 2018 off-site residency. Other artists includes Janiva Ellis, Tomm El-Saieh, Martha Jungwirth, Rudolf Polanszky and Tschabalala Self, December 3 - June 29, 2019. Hours: Wednesday - Monday, 9:30-4:30pm, closed Tuesdays. A great place to get outside and enjoy the Florida weather. 2520 NW 2nd Avenue, Miami, FL 33127. Conceived by the renowned community revitalizor and placemaker Tony Goldman in 2009. He was looking for something big to transform the warehouse district of Wynwood, and he arrived at a simple idea: "Wynwood's large stock of warehouse buildings, all with no windows, would be my giant canvases to bring to them the greatest street art ever seen in one place." Starting with the 25th-26th Street complex of six separate buildings, his goal was to create a center where people could gravitate to and explore, and to develop the area's pedestrian potential. Hours: Most of the time. One of the few cities to have free trolley transportation, and it's a good way to get around Miami and Miami Beach. The downside, you usually don't see one when you need it. If you can be flexible with your schedule they work great. If the trolley gets stopped in traffic (usually around the fairs) ask to be let out and walk the last block or two. When using Public transit in Miami, be sure to wave at your bus or Trolley as it's approaching the bus stop. Miami Trolley Information and Printable Maps. Free shuttle services from one art fair to another. Look for them around the fairs and ask about them when first entering art fairs. It's important to know where the pick-up and drop off locations are, and what the schedules are (traffic can really mess up the schedules). Best use of the art fair shuttles is between Art Basel Miami Beach and Art Miami. Also shuttles connect Art Basel to several other art fairs. The pick-up and drop-off for Art Basel Miami Beach is at 17th and Washington, near the southeast corner of the convention center, in front of the Jackie Gleason Theater. Some shuttles may ask you to show a fair ticket or VIP pass. Think about grabbing any shuttle traveling the direction you're headed. For example; if you want to visit Scope, you might see a shuttle for Untitled or Aqua, just jump on and visit that fair, then continue on to your original destination. Have a plan for traveling from your hotel to the first art fair each day. Then another plan for getting to the next fair during the day. If a shuttle is not in sight or arriving soon, think about sharing a Taxi others waiting, it's a great way to meet people. On some routes like between Downtown Miami and Art Basel you might want to consider the bus, it's easy and fairly fast. When visiting the art fairs on Collins Avenue in Miami Beach, the bus is a good alternative, several buses travel on Collins Avenue. Be sure to pick-up shuttle info at the information desk when entering ABMB. They have a shuttle bus service for visits to the museums and the major private art collections. The pickup location is usually directly across the street from Hall D of the Miami Beach Convention Center. Shuttles to other satellite art fair, are located at 17th and Washington, in front of the Jackie Gleason Theater. Tip: if you're trying to connect with a shuttle make sure you take the East exit (Beach side) out of the Convention Center. ABMB Shuttle Bus Online Schedule (not yet available). Free Shuttle Service during regular event hours, running approximately every 20 minutes to Art Basel Miami Beach (Convention Center) and Art Miami (Wynwood District). Miami Beach Convention Center (17th and Washington) to/from Art Miami. Last shuttle leaves Art Miami 6:00 pm daily. Service ends 7:00pm. Also, from 10:00am - 2:30pm EPIC Hotel (Downtown near Miami River) to/from Art Miami Pavilion, shuttle departs every 30 minutes. Shuttle stops near the James L Knight Center and area hotels. Not sure of the schedule at this time. Last year the Art Miami shuttle stopped at the hotel across the street. Also, look for the free Miami Trolley it services the area. Station 4, Knight Center. Metro Mover, Free, Riverwalk Station and 88 SE 4th Street. Ask at the fair for exact directions to shuttles or other transportation. Most likely will have shuttles running, no schedule at this time. The Lyft app matches you with friendly local drivers at the tap of a button. Just request and go. After the ride, simply pay through your phone. Lyft is available 24 hours, 7 days a week. You'll need to download the Lyft app to your phone. This year, Lyft will debut ArtHop, a limited-time service where dedicated drivers will take cars full of people along scheduled routes between the largest art fairs,	including Pulse, Spectrum, and Art Basel itself. How it works? Using Uber's free app, you can request a pickup and a car driven by the closest available driver will show up in minutes. Your credit card is billed directly for your trip and there's no need to tip (but we recommend you do, they work long hours during Miami Art Week, so take care of them). There will be several options presented to you during the week. Sometimes the lowest priced option is not available. One option, and I use it a lot is UBERPOOL. I also use the LUX option for short distances and when time is an important factor. Sometimes, it's easier to connect with your ride if you to walk a block or two away from an event closing. This is espesially true when an art fair closes for the evening. Questions? Check out https://www.uber.com/cities/miami or email supportmiami@uber.com. Heading to Miami Basel Events this year? Don't fret behind the wheel of your car, let Miami-Dade Transit take you where you need to go. The Miami-Dade Transit system is really good and we recommend using it when in Miami. Don't forget to download the Miami-Dade Transit Tracker app to plan your trip and track your ride in real-time. The new EASY Pay Miami app, also from Miami-Dade Transit, allows riders to purchase their fare from the palm of their hands. Buy your one-day pass ($5.65) with EASY Pay and head to the Marathon seamlessly. EASY Cards are still accepted at the Metrorail fare gates and on Metrobus for your convenience. Metrorail - an electric rail system throughout Miami. The best way to get from the airport to downtown hotels. Metromover - Everybody rides free on Metromover. This 4.4-mile electrically-powered, fully automated people mover system connects with Metrorail at Government Center and Brickell stations and with Metrobus at various locations throughout downtown. Major destinations of the Metromover system include the American Airlines Arena, Bayside Market Place, Miami-Dade College and the Miami-Dade County School Board. If you're staying in one of the downtown hotels learn this transportation system. Metrobus - an extensive public bus system. OK way to travel from downtown to Miami Beach and back. Keep in mind that during rush hours the buses are frequently full and bus drivers will not stop if they are. Miami-Dade Transit - Public transit and the Metromover rail system in Miami. Taxi Cabs - They can be convenient when leaving your hotel and going a short distance, plus they're easy to find. Taxi's can be a good way to get around, but be careful - know where you're going and how you would drive. Ask your hotel for best directions to your destination. Keep in mind that you might get a cab driver that does not speak your language. Frequently taking a side street is the fastest and shortest way from one fair to another. Also if traveling from Miami to Miami Beach look for others that might be interested in sharing a cab, plus it's also a good way to meet people. Check with your hotel to see if they have a free shuttle to the airport. Airport to Miami and Miami Beach SuperShuttle: Vans are available from the airport, outside the baggage claim areas to area hotels. Link to reserve a SuperShuttle. No new information will be added after Saturday, December 1st. We'll continue to add special events as they become available. Also, we do our best to provide you with current and accurate event information. We hope that you find us useful, please visit Art-Collecting.com often.